As the story goes, Georges Huré rather reluctantly founded the estate in 1960, to satisfy the insistent dreams of his wife Jeanne. The name Huré Frères came about in 1971 when Georges passed on management of the domaine to his three sons—Jean Marie, Marc and Raoul. 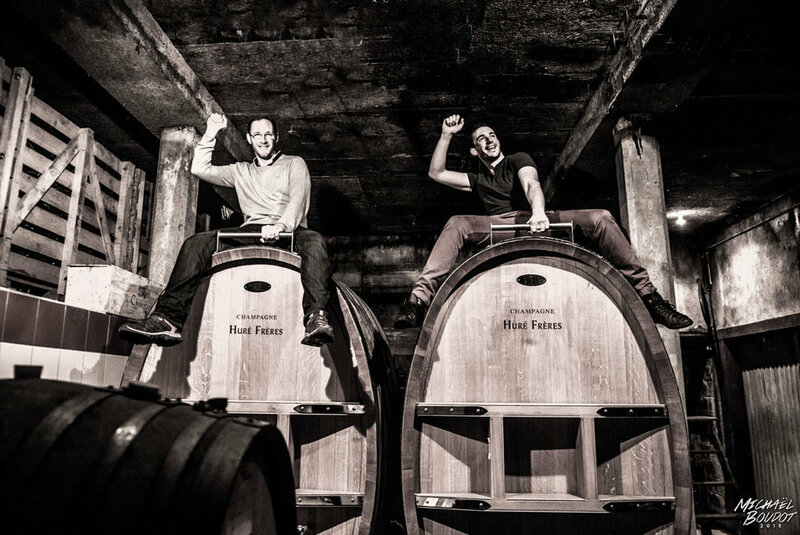 Since 2008, Raoul’s son, François, has been at the head of the estate after pursuing many other opportunities and inspiring wine regions as a young man. His prior stints include: falling in love with the terroir of Burgundy while obtaining his oenology degree in Dijon, becoming fascinated with biodynamics while working with Jean Pïerre Fleury, and exploring the vineyards of Australia and New Zealand. These experiences allowed François to understand the inherent advantages of both New and Old World wine regions: the traditional farming and respect for terroir of the former and the efficient modern techniques of the latter. Both serve him to create the terroir-driven and focused cuvées that mark the Huré Frères style today. It may be cliché to say that a grower’s wines resemble the grower him or herself, but in the case of the champagnes of François Huré, the saying really holds true. Immediately shy and discrete, the man slowly and carefully begins to reveal his sincerity, intellectual nature, and contagious energy over the course of a conversation, glass or meal together. The same can be said of his cuvée Mémoire, a rare blend of 30 vintages conserved by the solera method since 1982. Delicate aromas and a soft attack lead into a mid-palate full of energy and structure, finishing with endless length and class. Needless to say, both the wine and the man marked our mémoires. Information courtesy of Becky Wasserman & Co.